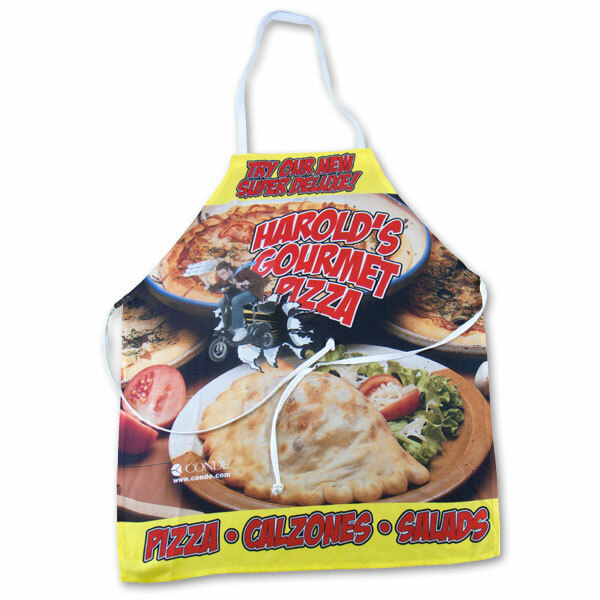 Our blank sublimation aprons are sure to be a high profit item for your custom dye sublimation business. These 100% ultra spun polyester sublimatable aprons aren’t just for cooking – they’re also great for cleaning, gardening, and art projects! Versatile and useful, these aprons come in 3 sizes - 25” x 27”, 27" x 31" and 10.5" x 16.5" and can be custom decorated with a sentimental phrase, cherished photograph, or a monogram with your favorite pattern! Keep your kitchens theme or color scheme by making a matching apron! Our 10.5” x 16.5” apron is great for servers! You can even imprint the restaurant’s name and logo right on the front. Our 25” x 27” Bib Apron has three pockets, which are perfect for holding small items such as paints, gardening tools, seeds… ect. One size fits most. They come in white with braided nylon tie straps and a sewn cloth neckband. DyeTrans Sublimation Blank Linen Apron w/Pocket - 33" x 25"
Linen Apron – 33" x 25" with large front pocket and stainless steel strap holder. Natural colored polyester linen, perfect for dye sublimation or heat transfer applications. It also absorbs dye beautifully. DyeTrans Sublimation Blank Bib Style Apron w/Pockets - 24" x 28"
Apron, Bib Style, 27" x 25" with 3 Pockets, White, braided nylon tie straps, adjustable sewn cloth neckband. 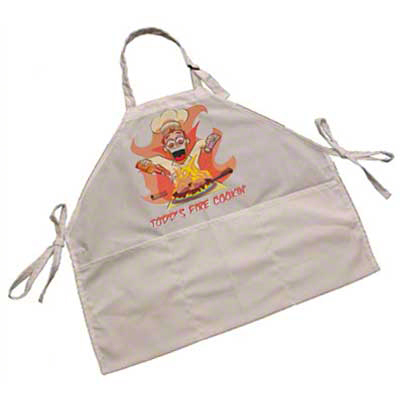 These bib style aprons are nice items for sublimation and to sell all year around. DyeTrans Sublimation Blank Bib Style Apron - 27" x 31"
Apron, Bib Style, 27" x 31"; 100% Ultra Spun Poly, White, braided nylon tie straps, sewn cloth neckband. 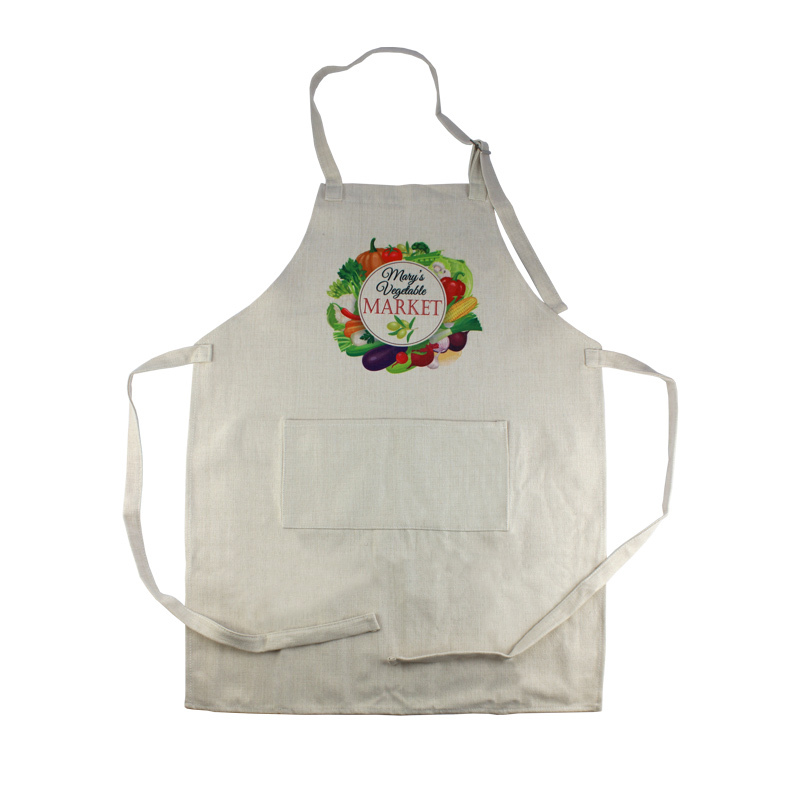 These bib style aprons are perfect for sublimation, and not just for cooking - they are also great for cleaning, gardening, art projects, and other activities, too!